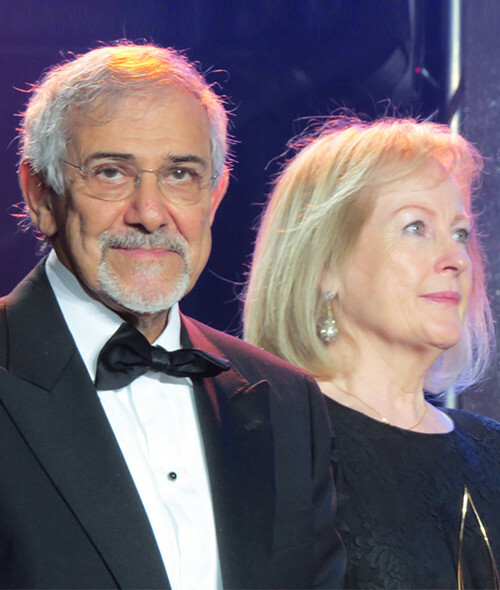 Dr. Hilal Al Sayer and his wife Mrs. Margaret founded the Kuwait Association for the Care of Children in Hospital and Bayt Abdullah Children’s Hospice. KACCH aims to provide psychosocial care to hospitalized children and to support them and their families as they cope with their hospital experience. As for Bayt Abdullah Children's Hospice, a young boy called Abdullah was the reason for its existence. Abdullah returned to Kuwait following the failure of his treatment in London. Bayt Abdullah was developed specifically in Kuwait, to make specialized care available to children with life-threatening conditions. All care is provided free of charge, irrespective of the child’s religion, nationality, or gender. Dr. Hilal Al Sayer is the President of KACCH and Chairperson and Medical Director of BACH. He is a former Minister of Health, Dean of the Medical School in Kuwait, President of the Kuwait Red Crescent Society, and Chairperson of Dasman Diabetic Institute. Margaret Al Sayer is the Founding Director of KACCH and BACCH. She is a former biology teacher and has devoted twenty-five years to raising awareness in Kuwait and the Middle East on the necessity of developing palliative care services for children.